DigitalWrite and equivalent fast macros. Speed up your code! The digitalWrite() function lets you to control external pins of the Arduino so you can control ICs, LEDs or relays (and much more) very easily. 0 Volts represents a zero. 5 Volts represents a one. This function lets you control the output pin voltages so when you write a one to a pin the voltage changes to 5 Volts and when you write out a zero the voltage changes to 0 Volts. It is a function that is used throughout the Arduino code because it separates the physical pin on the microcontroller from the software - it is an abstraction that enable easy interfacing to a pin. ...and how to use macros to get faster operation. TIP: Use the macros below to get ~17 times faster operation than digitalWrite(). It is a function used to allow an Arduino processor to output data to the real world. Inside the processor information is stored as ones and zeros, but you need an interface to the external pins of the processor to control LEDs and other chips. Digital Write lets you output a voltage either 0 or 5V represented by zero or one inside the processor. Note that the high voltage (5V for Arduino Uno) depends on the system voltage and for other chips it can be different e.g.3V3 etc. Note: for the function to work you must first set the pin direction to output. This is usually done once in the setup() function. Here's the basic use of the function. pinMode(<pinnumber>, OUTPUT);	// Set the pin direction. digitalWrite(<pinnumber>,HIGH);	// Set output pin high. digitalWrite(<pinnumber>,LOW);	// Set output pin low. The function digitalWrite() is, in fact, the cornerstone of the Arduino system because it creates a very simple-to-use user interface and essentially means that all Arduino boards can define an I/O pin simply by referring to a number (the Arduino pin). That does not sound too useful, but if you think about an Arduino Uno processor (14 I/O pins, with ATMega328p processor) and the Arduino Due (54 I/O pins, with Atmel SAM3X8E ARM Cortex-M3 CPU). These processors are very different e.g. the Uno is an 8 bit processor and runs at 16MHz whereas the Due is a 32 bit processor running at 84MHz. The Arduino system means that you can run the same code on different processors quite easily because you can select a pin to use e.g. put an LED on pin 5, and turn it on and off. In both the DUE and UNO versions (or another Arduino type board) you can use the same code to turn on and off pin 5 as a digital output. This means code re-use is easy and does not require you to know anything about the underlying hardware (and how to really access digital I/O). However this flexibility does come at a small cost, and that cost is speed. It takes time to figure out which "real" pin and which "real" port is being used and to convert the pin number to a port and port mask. Since the processors are running fast anyway - the Uno has 16MIPS and the Due has 100 MIPS - loosing a small number of MIPS is not a big disadvantage. Even for the Uno 16MHz allows you to waste a few cycles to get the easy digitalWrite operation. The only time it becomes a problem is when you absolutely have to toggle a pin on and off at a very fast and precise rate - this will depend on the chip specification of a chip you are trying to control. Code is cross processor compatible. Code controls a named pin on the board and is therefore easy to wire up. Changing code to use different pins is trivial. Code is slower than accessing the ports directly. Can not perform multiple bit read or write in a single action. You actually need to use another function, pinMode(), to be able to use digitalWrite. You can either read from a pin, or write to a pin, but you can't do both at the same time as separate internal hardware is used for each operation. The processor needs to know how the pin is to be used by your program. You use the function pinMode() to tell the processor to configure the pin for reading or writing. Note: The default state of a pin is INPUT. You can place the above code in the setup() function since you only set the pin direction at the start of the program and it usually remains the same. I say usually, since sometimes you may need to change the pin direction to allow some devices to operate e.g. Dallas 1 wire system is bidirectional on one pin. You can change the pin direction at anytime if you need to do so. For this explanation we will look at the Aruduino Uno code base (the code will be different for the Due and any other processor, but the same principles will apply). Is there a hardware PWM associated with the pin? The bit mask for the pin. The port that the pin is located on. Turn off the PWM output if the pin is PWM capable. Then comes the actual desired operation of setting an output bit high or low. if val is low then set the output pin state to zero volts. if val is high then set the output pin state to high volts. The first part of this code is where the magic happens in translating the abstract pin number into a port and a bit mask. 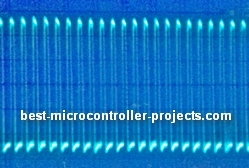 In addition there is also a timer parameter which is associated with PWM outputs. For the Arduino Uno R3 ports used as digital I/O are mapped from pin 0 to 13 as port D followed by port B. Note: The definition __AVR_ATmega8__ is for the ATmega8 Version of the chip that was used in the R0 version of the Arduino Uno. It is unlikely that you will see one these today; You can find a picture of one on the Wikipedia page here. pin 11, hwpin 17 (PB3). The ATmega168 added PWM pins as PD3, PD5, and PD6 whereas the ATMega8 had PWM outputs only available on PB1, PB2, and PB3. The pinout of the ATmega328 should be the same as the ATmega168 as there are no definitions to separate them out in the code. The issue here is that if a pin is being used as a digital output pin then it can not be used as a PWM output and the desire to use the digital output overrides PMW use. The array allows the code to check if the pin can ever be a PWM output and which timer is associated with that pin. Note: If it is a PWM pin then hardware dictates which timer is used. These are fixed in the ATMega328 hardware architecture. If you were using pin 2 then the array returns NOT_ON_TIMER - there is no PWM for pin 2. No action is taken. 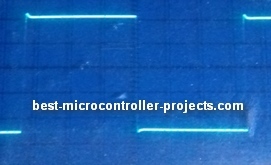 If you were using pin 3 then the array returns TIMER2B indicating there is PWM on the pin and that it is using Timer2. The code then turns off the PWM output for pin 2 using the function turnOffPWM(timer). Finds out the bitmask value for a specific Arduino pin. So digitalPinToBitMask simply returns the bit value for a pin. Finds out the port address for a specific Arduino pin. The next 6 values are PC (port C) - for pins 14 to 19 - These are the analogue pins. TIP: Analogue pins can be used as digital pins if you set the pinMode to output or input. To set them back to analogue pins again, just perform an analogue read from the pin. The last part of the code does the actual port bit manipulation using inversion (~) and logical AND (&) and logical OR (|). These use the standard bit set or reset mask techniques. First of all the 8 bit variable is set to the current value of the port in question. Then the current Status Register value (SREG) is saved, and interrupts are turned off. The status register contains the current global interrupt enable flag (b7). CLI is executed to turn interrupts off. When SREG is later updated with the oldSREG value, the state of interrupts will be preserved to the state that they were before executing CLI. If the function input value (val) is low then the specific bit is turned off. Anding the current port value with an inverted bit pattern (8 bits) sets the specific bit low (but only that bit). Otherwise the bit is set high. Oring the current port value with the bit sets only that specific bit high. Finally SREG is restored, restoring the interrupt enable flag to its previous state. Why is digitalWrite so slow? DigitalWrite is slower because it is written to allow access to the Arduino pins and it does some housekeeping tasks PWM detection, port calculation, and bit mask calculation (as explored above). However, digitalWrite is not that slow (~6us toggle) and you can control most devices using digitalWrite. It only appears slow when you are trying to control more demanding interfaces. In this case use the fast macros shown below to get a ~20x speed increase. This section comes with a caveat - and that is: if you use the following for a speed increase then you are going into unprotected code area. This is simply the default programming method that software engineers/hardware designers are well used to. What it simply means is that if you do stupid things then stupid things are going to happen! The Arduino code above at the start of digitalWrite protects users from turning on the PWM outputs while at the same time trying to use them as normal digital I/O. In addition the code converts a simple number to a port and pin mask. In a commercial engineered system pins are set for specific tasks and it up to the designer to use them appropriately. So if a pin is used as a PWM output to control a motor then it won't be used for anything else. So in that case you would not access the pin as normal digital I/O so you wont need protective code. The protective code is there to allow inexperienced/careless engineering, so you really don't need it if you specify and setup the system as you want it to be. That means you can do away with these protections and gain a speed advantage. However note that digitalWrite is very convenient and in most cases it is fast enough. 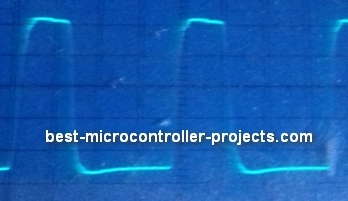 These oscilloscope images are for an Arduino Uno running at 16MHz. As you can see there is quite a speed difference. On the left the high period is about 3.5us high and 3.5us low. For the time it takes digitalWrite to toggle once, the macro has toggled about 18 times. Toggling on the right takes about 0.4us. The scope settings were 0.5us/div and x5 multiplier. So it is high for 0.1us and low for 0.3us. The difference in M:S ration is due to the jump instruction needed to return to the start of the while loop. This adds another condition so will be slower. It does not check for an input greater than the maximum pin 19, so you could make it go wrong! Note: If you want interrupt safe macros wrap the macros in the SRG code as in digital write. All it means is that outputs will not be interrupted i.e. won't be extended by an executing interrupt. This is likely because you forgot to set the pin as OUTPUT using pinMode before using digitalWrite. Do I need digitalwrite include? No Arduino is different in that respect. In most compiler systems you have to include everything that you will need, but in Arduino this function is built in (as are many others - See Arduino reference). You only need 'includes' to incorporate external library functions. Can I use digitalwrite in an interrupt? Yes it is safe to use in an interrupt since it does not itself rely on any other interrupts. Can I use digitalwrite in the setup function? Can I use digitalwrite for multiple pins? No: You have to individually write to each pin. If you want to write multiple pins at the same time they must be on the same port. The you use the bitwise operators to set or clear multiple pins at the same time (just set the bit mask to the pins you want to control). The physical interface has limits (specifically current). If you load the pin with a large current drawing load the output voltage will drop even though the output is high. This is normal. Either that or you are using an Arduino with a different PSU level e.g. 3V3. Can I use digitalwrite to drive a motor? The output current is too low. You will need an interface circuit e.g. Darlington, MOSFET or relay or a motor driver chip (e.g. L293D) or shield with a motor driver chip on it. It returns void i.e. it does not return anything.